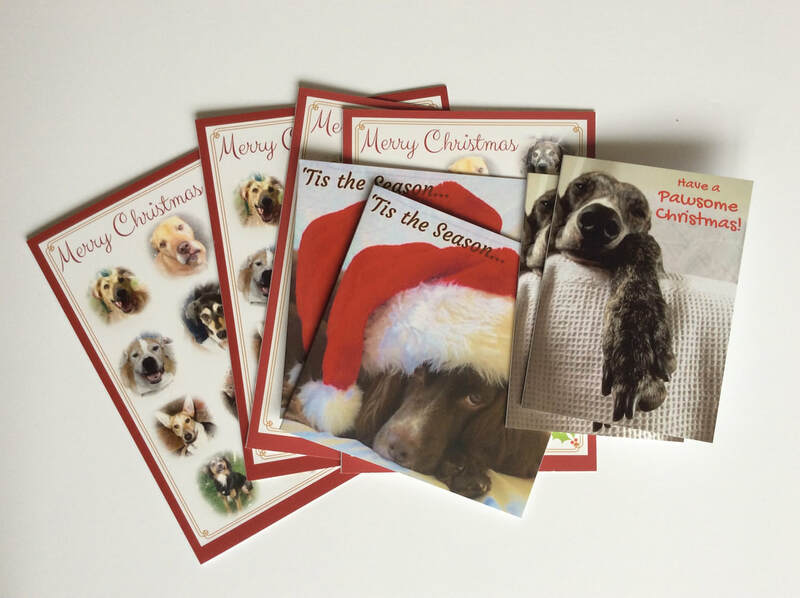 E. Assorted pack, 2 of each A to D.
Christmas is coming, and we have some lovely cards, especially for you! 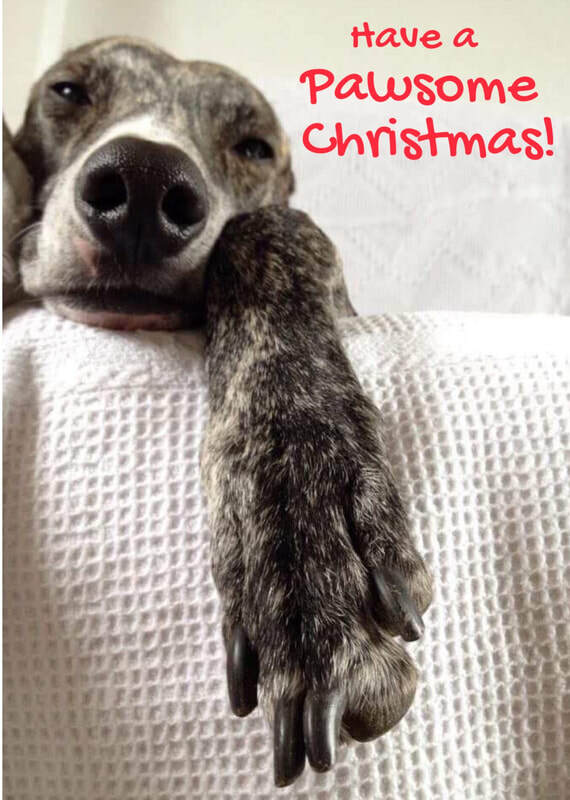 ​ If you are one of the rare breed that still sends/gives REAL Christmas cards, please consider these, - every single penny of proceeds (including any postage paid) goes towards the animals in our care. 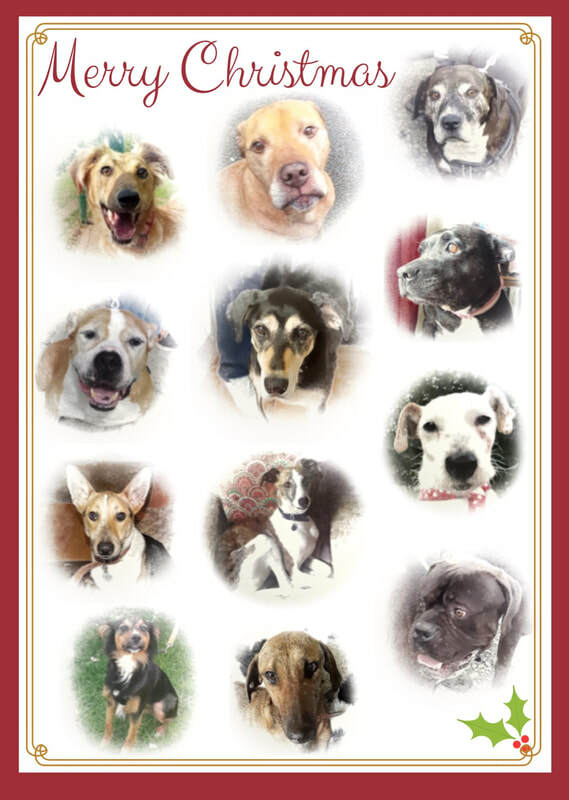 There are three different ones as shown plus a special one of the 2017 dogs design with an insert and the poem “A Christmas Rescue”, making four altogether (see top pic). All have the LCH logo and message on the reverse and come with matching envelopes. The largest card is A5 size, the smallest A6. 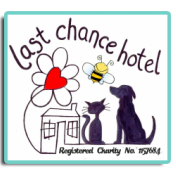 Please add £2.50 for post and packing, and send payment to paypal@lastchancehotel.org, using Friends and Family, with your order details (using the letters above, and quantity) and address. PLEASE don't forget your address! 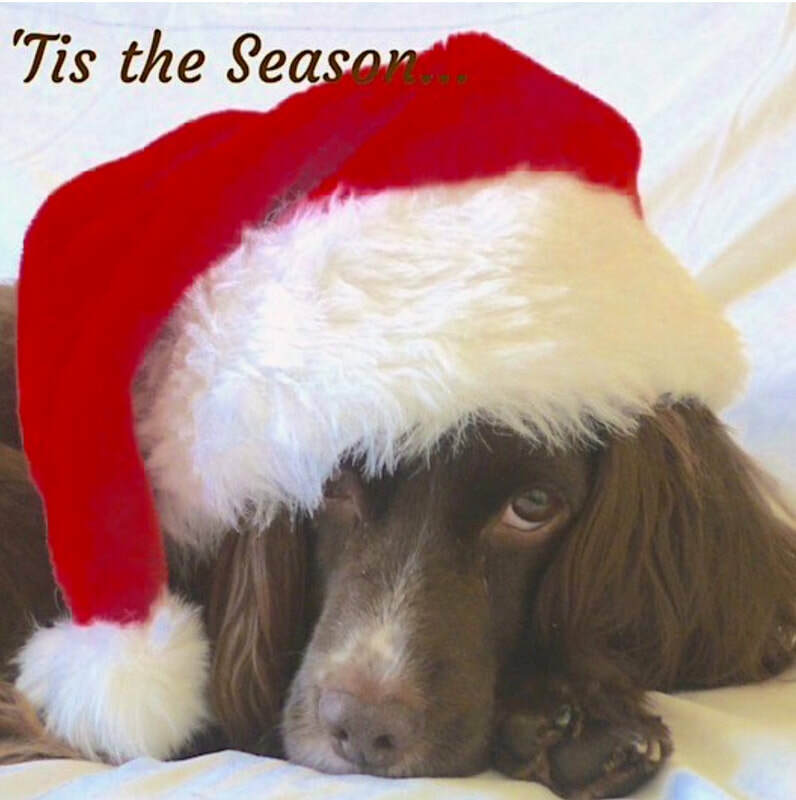 ​The cards will also available at our Hub Shop in Redruth from Monday 16th October, and the first weekend of November and during December with the lovely Claudine, Sarah and Janet at Pets at Home, Pool and Bodmin. I need someone to take me in, a rescue space secured. And now the warden’s coming: “It's time for you to go”. The lead’s put on, I'm led outside, and there my saviour stands. A kindly face, a smile, a treat, and oh, so gentle hands. “Let's pop you in the car my love, a long journey’s ahead. They lead me to a comfy bed, I feel they truly care. I’M SAFE! And looking forward to a Christmas full of love.